I’m proud to announce BluGrass Baseball is joining a new central Kentucky-focused news website called KyForward, which launched yesterday. I will be working full-time for KyForward as the website’s sports editor and will be bringing BluGrass Baseball with me. What does this mean for BluGrass Baseball readers? Your favorite BluGrass Baseball features, including the “Ky in the Minors” and “Ky in the Majors” databases, are moving to KyForward as well. I will still post daily baseball updates on the KyForward “Our Sports” page. That page will have a special category for BluGrass Baseball content, which can be accessed here. The BluGrass Baseball archive of posts published before May 1, 2011, will remain at http://www.bluegrassbaseball.wordpress.com. The BluGrass Baseball Twitter page will remain the place for up-to-the-minute breaking baseball news, but I encourage you to also follow my KyForward Twitter account, @jonkyforward, for other sports updates. When I launched BluGrass Baseball almost two years ago, my goal was to fill a gaping hole in the media coverage of Kentucky baseball. It is that motivation that attracted me to KyForward, which hopes to fill the gaps in media coverage of all issues in central Kentucky. By moving to KyForward I will be able to devote my full effort to sports coverage. 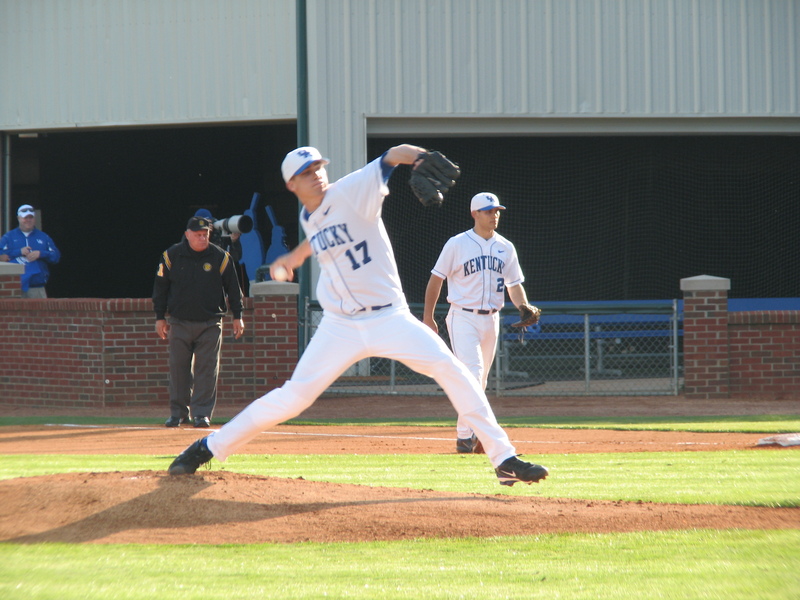 That means, in addition to the features you have become accustomed to from Bluegrass Baseball, I will be publishing in-depth stories about your favorite Kentucky baseball players and teams, including this one about Mount Sterling native Drew Lee. Baseball is not the only sport I will cover for KyForward, but you can expect to see the same level of baseball coverage there that BluGrass Baseball has made a name for. I encourage you to become not just a regular reader of the KyForward sports coverage, but also the website’s coverage of all things Lexington and Central Kentucky. We boast an extremely talented staff that will cover the region in a way that has been lacking in the past. The KyForward team is committed to being your number one cyberspace stop for local news and information, interesting – even offbeat – stories well told, and overt “community-building.” You can see the early examples of the work you can come to expect from the website at http://www.KyForward.com. Beginning later this week, BluGrassBaseball.com will automatically re-direct you to the BluGrass Baseball posts on KyForward. In the second weekly leaderboard post we’ll look at the top pitching statistics through 10 weeks of the college baseball season. To be eligible for the ERA and batting average against categories, pitchers must have at least one inning per team game. Eligible players attend a Kentucky college or graduated from a Kentucky high school. Stats are current through Sunday’s games. Check out the weekly edition of the college baseball leaderboard below. We’ll look at batting statistics today, remembering that players must have 2.5 at-bats per team game to be eligible for the batting average, on-base percentage and slugging percentage catergories. Stats are current through Sunday’s games. The Louisville Bats scored six runs through eight innings but did not score again in a 7-6, 18-inning loss to Rochester. Left Fielder Yonder Alonso, batting leadoff, was 3-8 with two doubles, two RBI and one run scored. The Bowling Green Hot Rods left 10 men on base in a 2-1 loss to Great Lakes. Left-handed pitcher C. J. Riefenhauser took the loss after surrendering two runs on four hits in four innings while striking out seven batters and walking two. The Lexington Legends at one point trailed Kannapolis by seven runs but could not finish the comeback in a 9-6 loss. Right fielder Adam Bailey was 3-3 with two doubles, two walks and two runs scored. Mount Sterling native and former Morehead St. infielder Drew Lee was 2-4 with one triple, one RBI and one run scored in the game for Kannapolis. Louisville native and former UofL infielder Adam Duvall was 2-4 with one home run, two RBI and two runs scored for low A Augusta. Former UK outfielder Lance Ray was 2-5 with two runs scored for low A Beloit. Paducah native Daniel Webb took a loss after surrendering seven runs on 10 hits in five and two-third innings in a start for low A Lansing. Former Madisonville resident Matt Klinker took a no decision after surrendering five runs on eight hits in five innings in a start for AA Carolina. Greg Johns of MLB.com reports Louisville native Shawn Kelley, who is rehabbing from Tommy John surgery, had to cut his simulated game short on Sunday due to tightness in his throwing elbow. Tom Haudricourt of the Milwaukee Journal-Sentinel reports there is nothing physically wrong with Bowling Green native Corey Hart contributing to his offensive struggles since returning from the disabled list. Jack Magruder of Fox Sports Arizona reports Ashland native and former UK right-handed pitcher Brandon Webb remains confident he will be a productive major leaguer again despite one scout’s proclamation that he is “done” following a rehabilitation appearance last week. Mark Maloney of the Lexington Herald-Leader profiles Lexington Legends catcher Chris Wallace, who Legends manager Rodney Linares says probably deserves a promotion after his early-season performance. Cash Kuth of MLB.com runs down some of the Kentucky major leaguers Kentucky Derby picks. Lexington Catholic alum Ben Revere, North Hardin alum Nathan Adcock and St. X alum Trever Miller all missed on the winner, but Ballard alum Kelley appears to have picked the winner according to his Twitter account. Offseason Louisville resident Matt Maloney earned his first AAA win of the season in leading the Louisville Bats to an 8-0 victory over Buffalo. Maloney surrendered four hits in seven shutout innings while striking out four batters and walking two. Third baseman Todd Frazier was 3-4 with two home runs, four RBI and three runs scored. The Lexington Legends slugged three home runs and tallied 13 hits but still couldn’t avoid a 12-11 loss to Hagerstown. 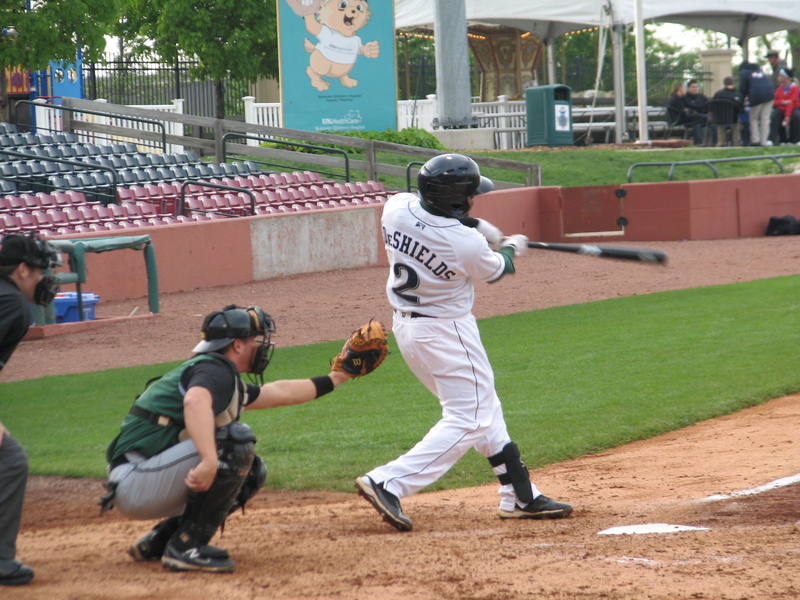 Second baseman Delino DeShields Jr. was 3-4 with one home run, one RBI and three runs scored. Right fielder Adam Bailey and left fielder Emilio King also homered. King has two home runs in two games for Lexington. Louisville native Jason Chowning surrendered one run, his first of the season, on two hits in three innings of relief while striking out four batters and walking two for the Legends. Great Lakes scored a single run in the bottom of the ninth inning to send the Bowling Green Hot Rods to a 3-2 loss. 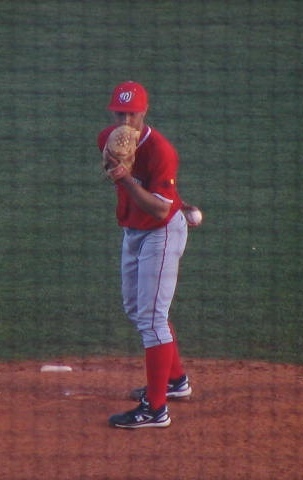 Right-handed pitcher George Jensen took a no decision after surrendering two runs on three hits in five innings while striking out three batters and walking two. Lexington native Robbie Ross earned his fourth win of the season after surrendering one run on four hits in six innings while striking out six batters and walking two. Former UK outfielder Sawyer Carroll was 3-4 with two doubles, one RBI and two runs scored for AA San Antonio. Former UofL left-handed pitcher Justin Marks took a no decision after surrendering two runs on six hits in seven innings while striking out one batter and walking four. Making his second start in affiliated ball, former UK left-handed pitcher James Paxton took a no decision after surrendering two runs, one of which was earned, on five hits in five innings while striking out three batters and walking four for low A Clinton. Former EKU left-handed pitcher Christian Friedrich took a no decision after surrendering three runs on six hits in five innings while striking out four batters and walking one. Former UofL third baseman Chris Dominguez slugged his seventh home run of the season for high A San Jose. 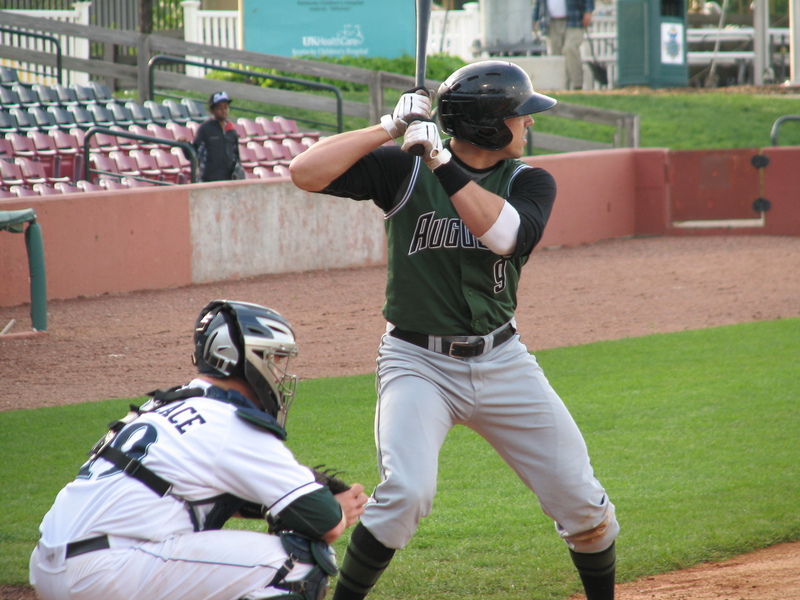 Former UK infielder Gunner Glad slugged his second home run of the season for low A Beloit. Former UK left-handed pitcher Logan Darnell took a loss after surrendering five runs on six hits in four and two-third innings in a start for low A Beloit. Former UK outfielder turned second baseman Jason Kipnis, who transferred to Arizona St. before the draft, was 3-4 with one double, one RBI and one run scored for AAA Columbus. The Louisville Bats scored two runs in the first inning and rode a strong pitching performance from left-handed pitcher Tom Cochran to a 3-1 win over Buffalo. Cochran improved to 4-0 on the season after surrendering three hits in six shutout innings while striking out four batters and walking three. The Lexington Legends held off a late rally in an 8-6 win over Hagerstown. Designated hitter Chris Wallace was 2-4 with one home run, one RBI and two runs scored, and center fielder Emilio King was 3-5 with one home run, two RBI and two runs scored in his Legends debut. The Bowling Green Hot Rods outhit Great Lakes 6-4 but could not avoid a 3-2 loss. Third baseman Robby Price was 2-3 with one RBI and one run scored. Richmond native and former UK outfielder Keenan Wiley was 3-3 with one RBI for high A Lynchburg. Paducah native Jonathan Roof was 3-4 with one double and one RBI for low A Hickory. Walton native and former NKU outfielder Jake Shaffer was 2-4 with one double and two runs scored for AA Jackson. Hawesville native and former WKU infielder Wade Gaynor was 2-4 with one double and one RBI for high A Lakeland. London native Jon Townsend homered and drove in two runs in his return from the disabled list for high A Inland Empire. Highland Heights native and former NKU right-handed pitcher Josh Lueke earned his second save since his demotion to AAA after recording the final two outs of AAA Tacoma’s win. Former Murray St. right-handed pitcher Mike Perconte earned his third win of the season after recording one out for AA Frisco. You can read the BluGrass Baseball recap of the doubleheader split between Eastern Kentucky University and Murray State University here.